Postnasal drip (PND) in children occurs when excess mucus runs down the back of the throat. Glands in the lining of the nose produce mucus to trap viruses and bacteria and protect the body. This mucus typically runs out the nose or down the back of the throat and often goes unnoticed. When large amounts of excess mucus run down the back of the throat it is referred to as postnasal drip. Most cases of otitis typically occur in young children when a cold, throat infection or allergies cause fluid to become trapped in the middle ear. Ear infections are often painful because of inflammation and the buildup of pressure and fluids. A narrow passage called the eustachian tube connects the middle ear to the back of the throat and nose. The eustachian tube functions to control the airflow and pressure inside the middle ear. The eustachian tube can become blocked by swelling in the nose and throat (often due to a cold or flu), swelling of the middle ear mucous membrane or swelling of the mucous membrane of the eustachian tube itself. The blocked eustachian tube prevents the air pressure in the middle ear from equalizing. A negative pressure is created, and this can draw fluid into the air-filled space of the middle ear. Fluid trapped in the middle ear can lead to thicker mucous, the presence of bacteria, inflammation, infection and postnasal drip in children. 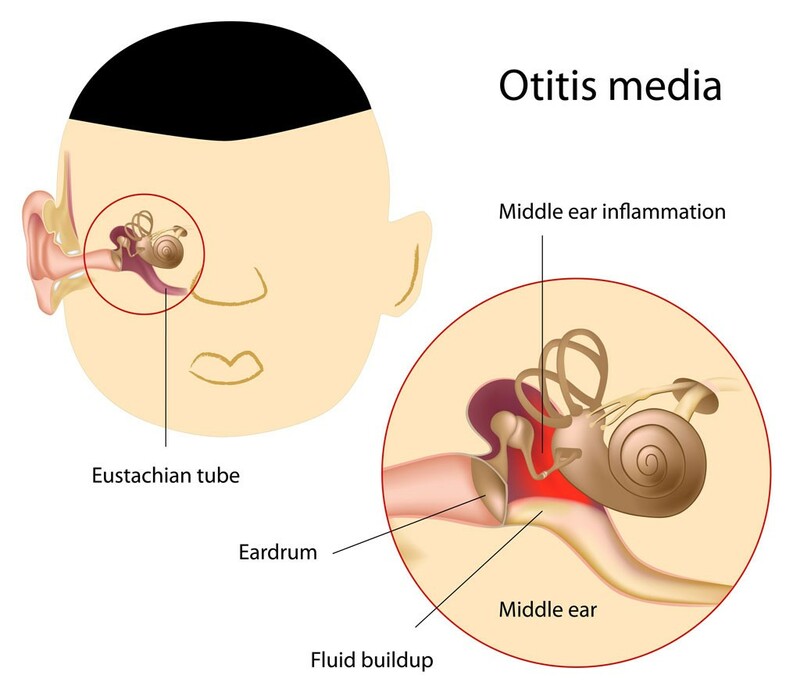 Otitis media can be acute or chronic. Typically acute otitis media (AOM) clears up on its own or after a course of antibiotics. Often however, medication is needed. Your child’s doctor will likely prescribe antibiotics, which are extremely effective in fighting ear infections. Typically these mediations are taken for 7-10 days along with Ibuprofen or acetaminophen for pain. If the ear infection does not respond to antibiotics or if more episodes of acute otitis media occur, surgery may be recommended. Your child’s doctor may recommend removing the adenoids if they are enlarged or infected. Your child’s doctor or an ear, nose and throat specialist may also suggest ear tubes, which are tiny tubes surgically inserted into the ear to allow for better airflow and function of the eustachian tubes. Allergic postnasal drip often occurs in children and is caused by allergies (allergic rhinitis). Allergic rhinitis results when the immune system over-responds to specific particles with a protein structure often found in pollen, mold, plants, animal hair, dust mites, insect venom, food and chemicals. 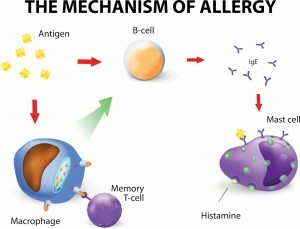 During an allergic reaction antibodies specifically attach to mast cells in the skin, lungs, and mucous membranes causing the release of histamine. Histamine opens the blood vessels and causes swollen membranes. Sneezing, congestion and postnasal drip are often the result when this happens. Treatment for allergic postnasal drip addresses the underlying cause, allergies. Antihistamines, which block the release of histamines during allergic reactions, are extremely effective. Nasal steroid sprays are used to reduce swelling and inflammation of the nasal passages promoting proper drainage. When symptoms don’t improve, allergy shots (immunotherapy) can gradually reduce the immune system’s response to a specific allergen resulting in fewer or less severe symptoms. 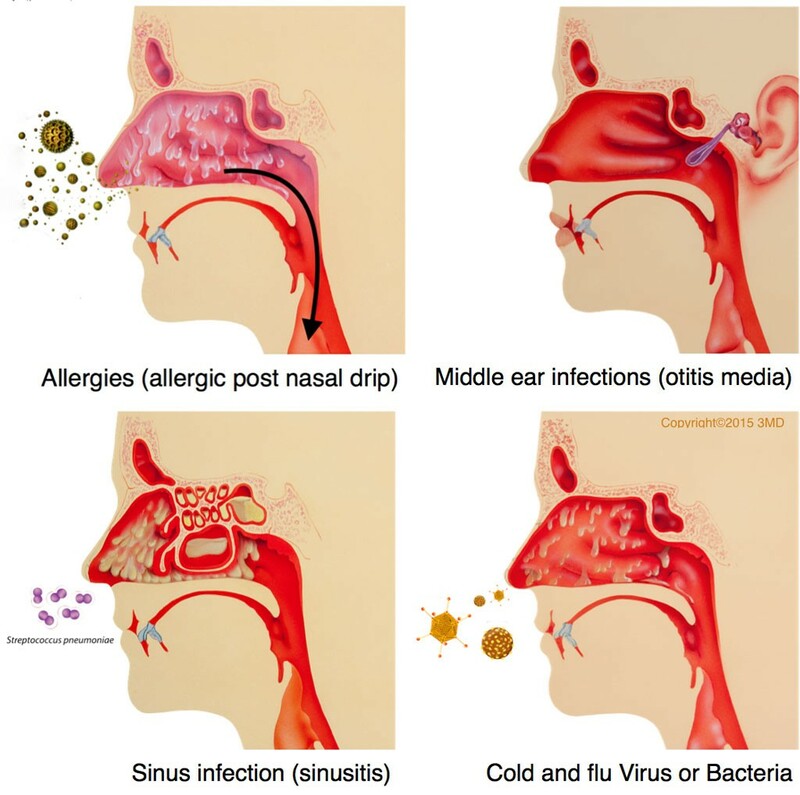 Sinus infections (sinusitis) in children occur when tissue lining of the sinus cavities becomes swollen and inflamed. Because a child’s sinuses are not fully developed until the later teen years, sinusitis can easily develop. A runny nose, cough, sore throat, fever, yellow drainage and headache are all common symptoms of sinusitis in children. Because the membranes are swollen and thick mucus may block nasal passages during a sinus infection, postnasal drip is often a complication of sinusitis in children. With acute sinusitis, most children respond well to antibiotics, and symptoms typically improve in the first few days of treatment. When symptoms persist for at least 12 weeks, it is considered to be chronic sinusitis. 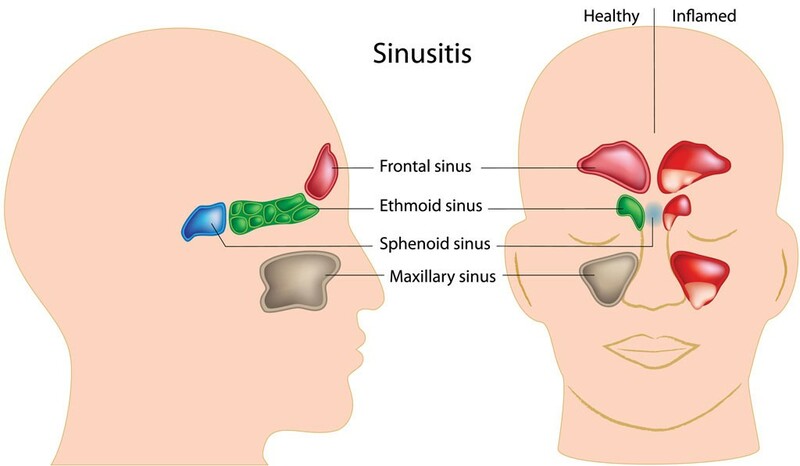 Recurrent episodes of acute sinusitis (4 to 6 per year) or chronic sinusitis may require more aggressive treatments such as sinus surgery. Nasal foreign bodies are most commonly seen in children 6 months to 5 years of age. An object inserted into the nose can block proper airflow and drainage. Any obstruction in the nasal cavity can be a source of discomfort and can make things like eating, breathing, speaking and sleeping difficult. The blockage can cause swelling leading to further complications like nasal congestion, mouth breathing, sleep apnea and postnasal drip. In most cases, removing the object alleviates the symptoms for the child. Depending on the location of the NFB, it may be removed in a doctor’s office or require surgery. For more information about pediatric respiratory disease please submit an online appointment request or contact the office of Dr. Peter N. Schochet and Dr. Hauw Lie at 972-981-3251.